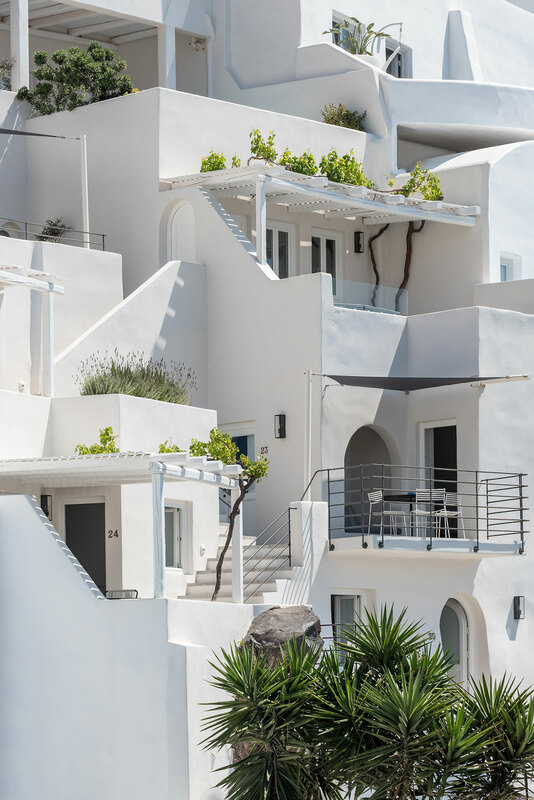 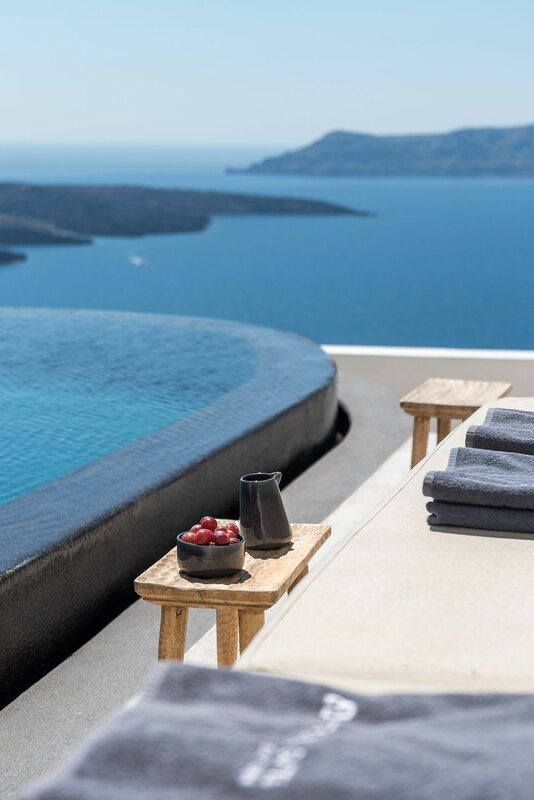 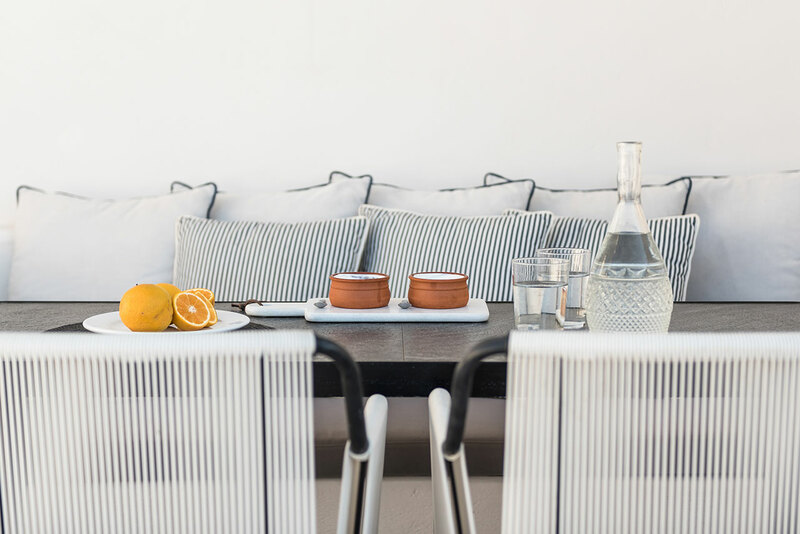 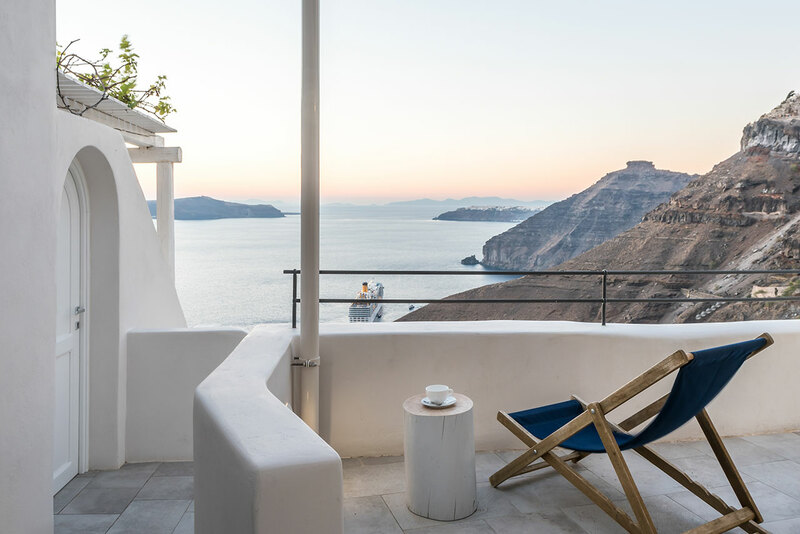 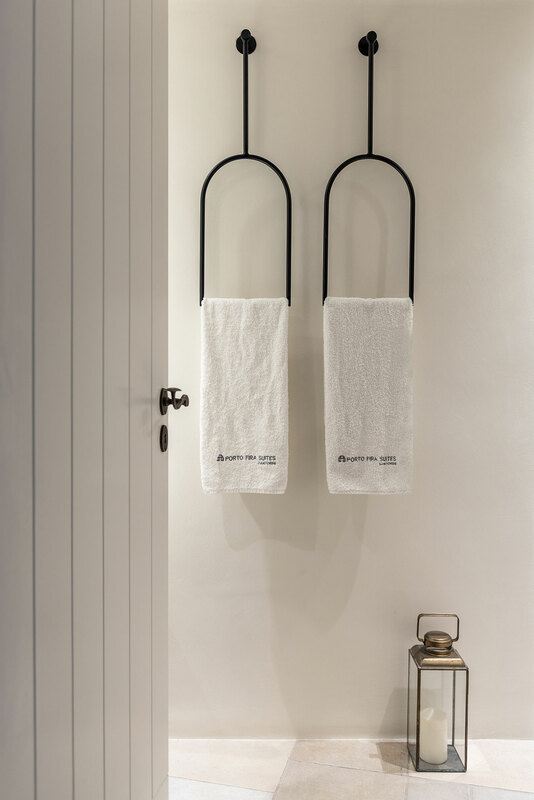 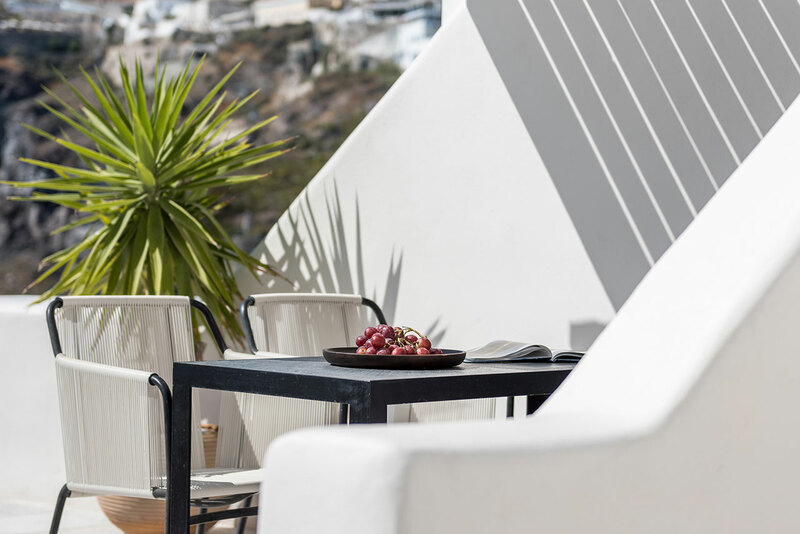 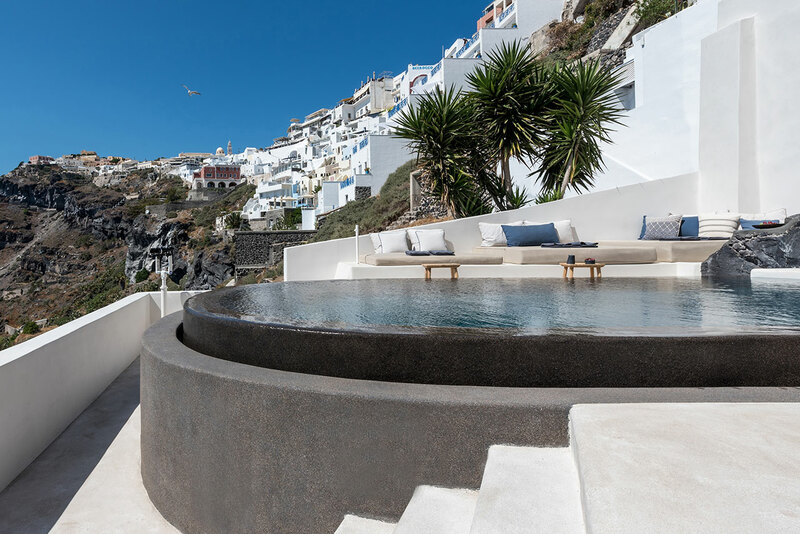 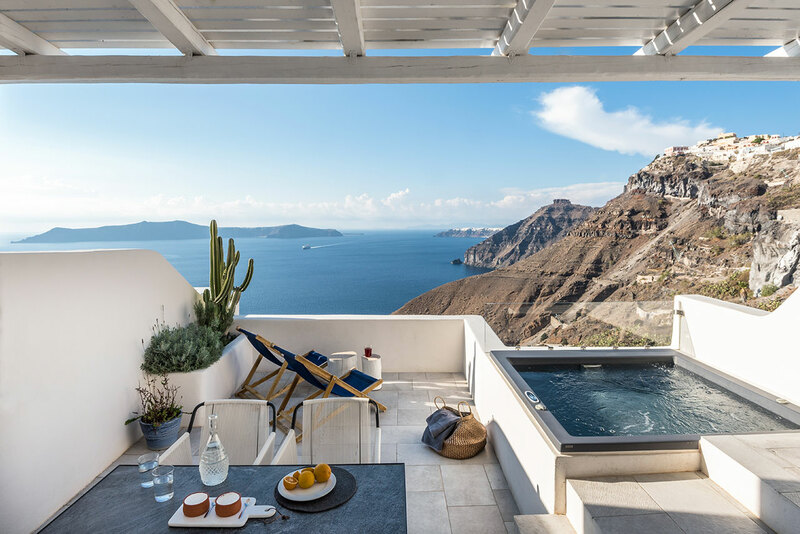 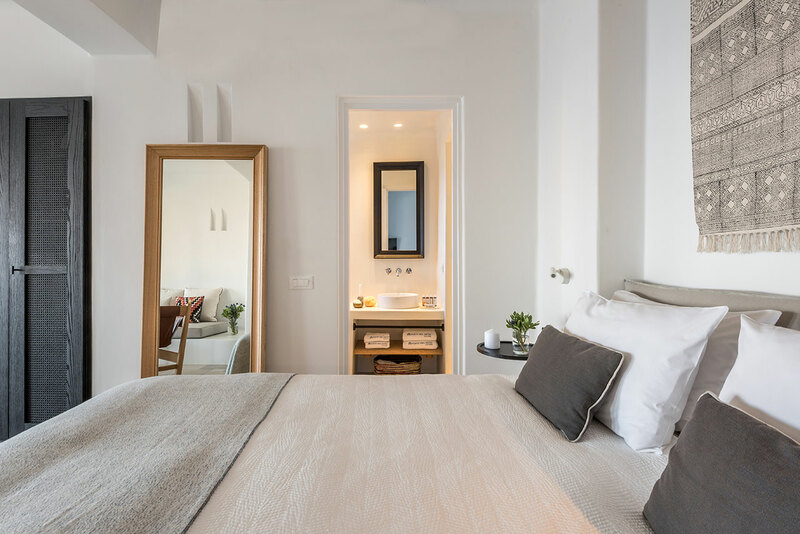 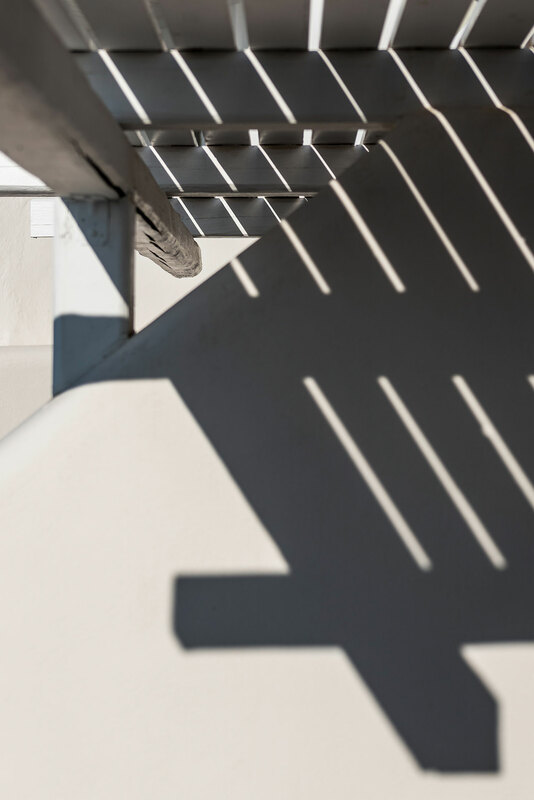 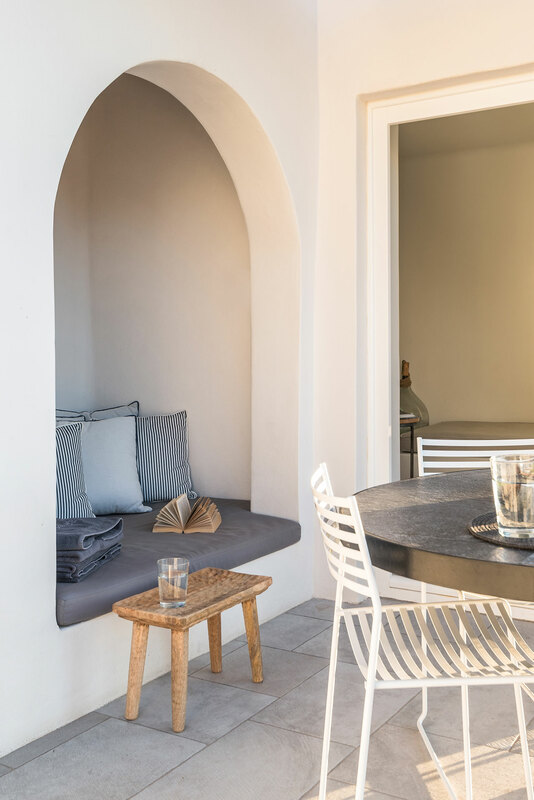 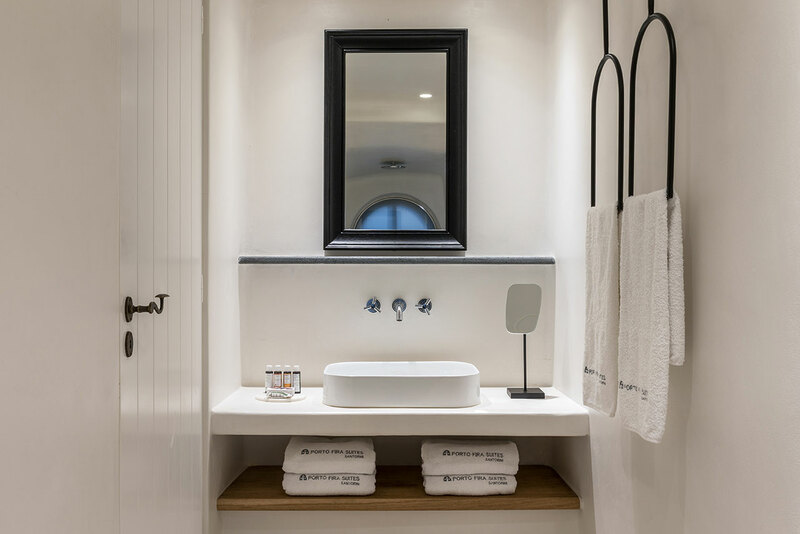 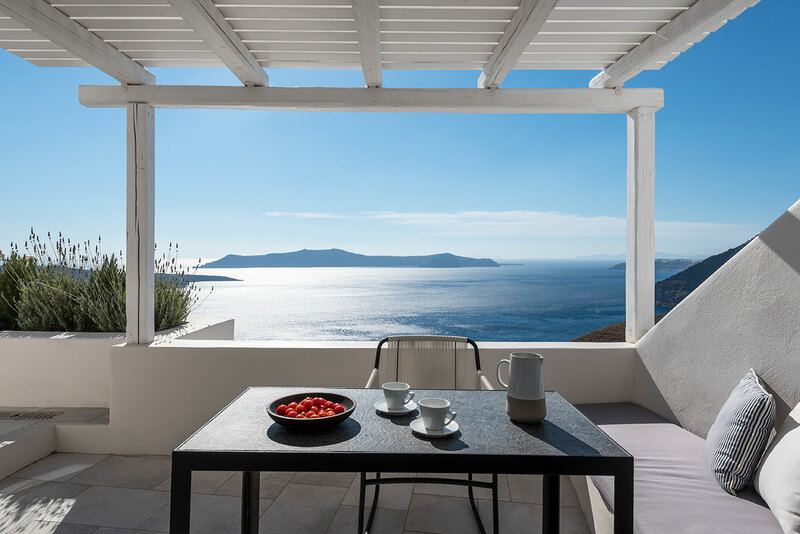 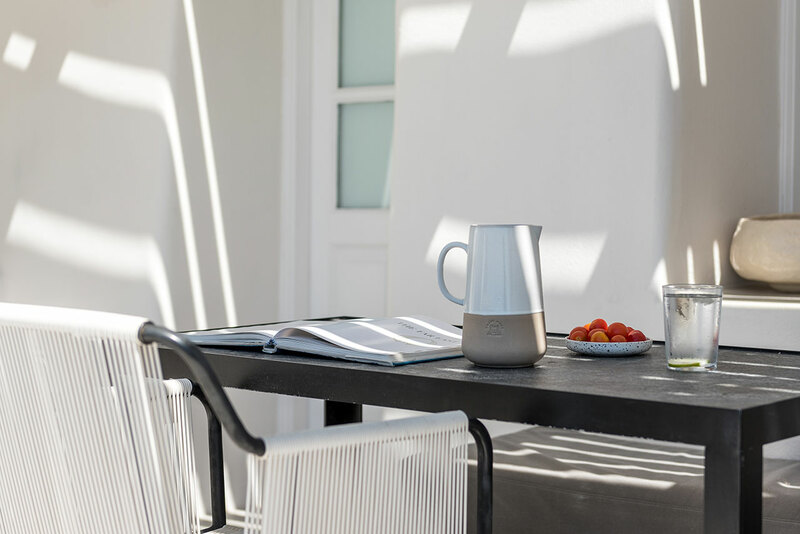 The accommodations on the magical Greek island of Santorini have just received an upgrade in the form of the full renovation and redesign of the Porto Fira Suites, realized by the design firm, Interior Design Laboratorium, and its director, Stamos Hondrodimos. 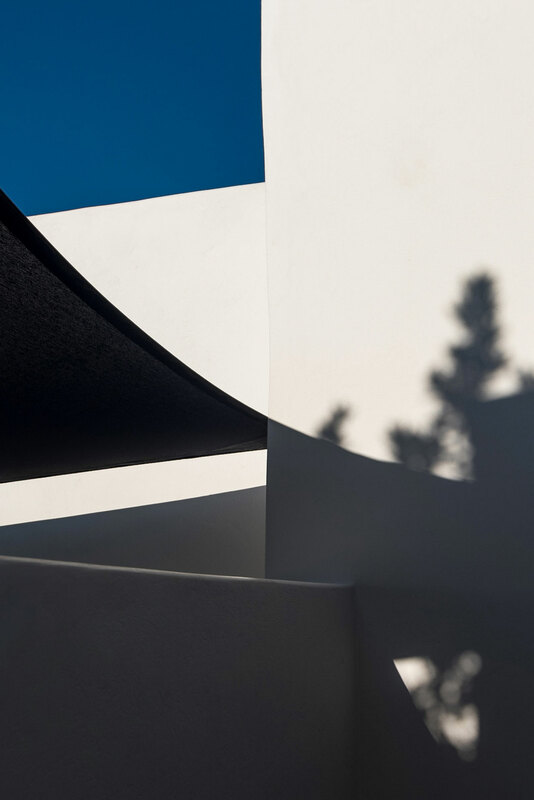 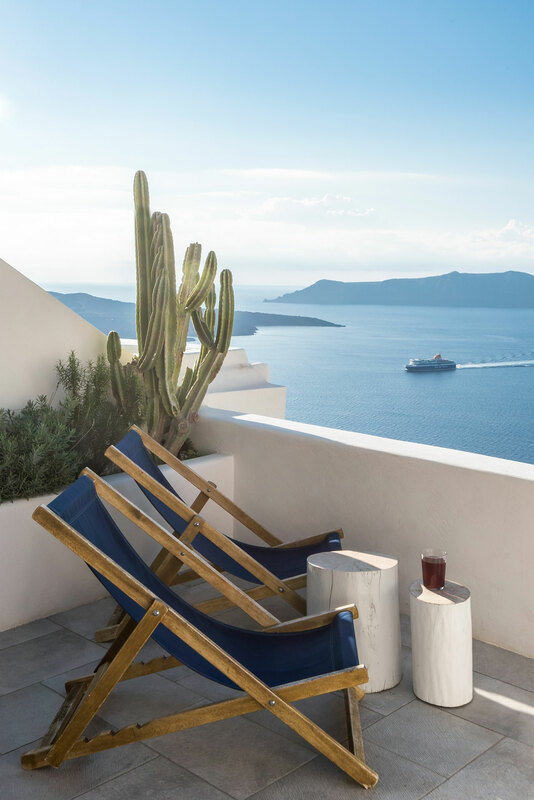 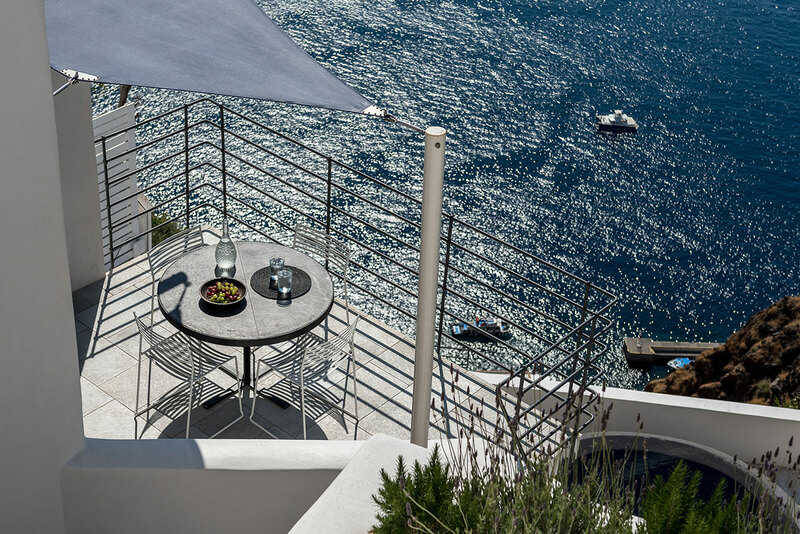 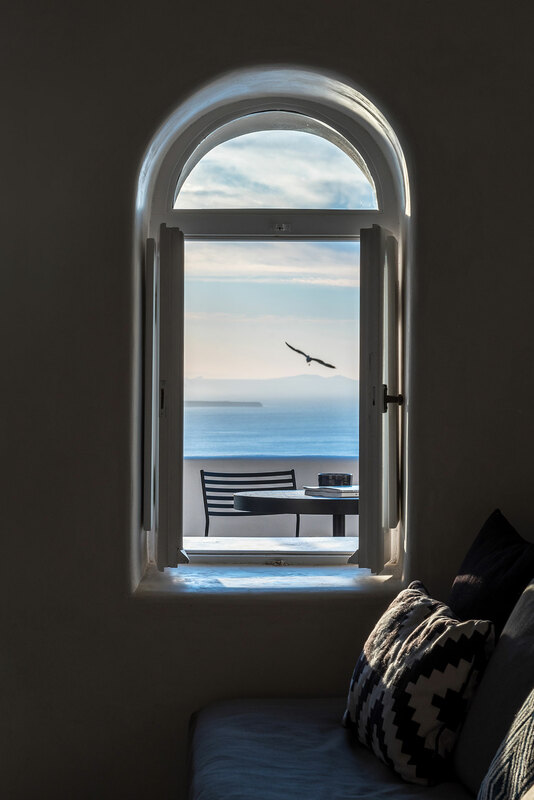 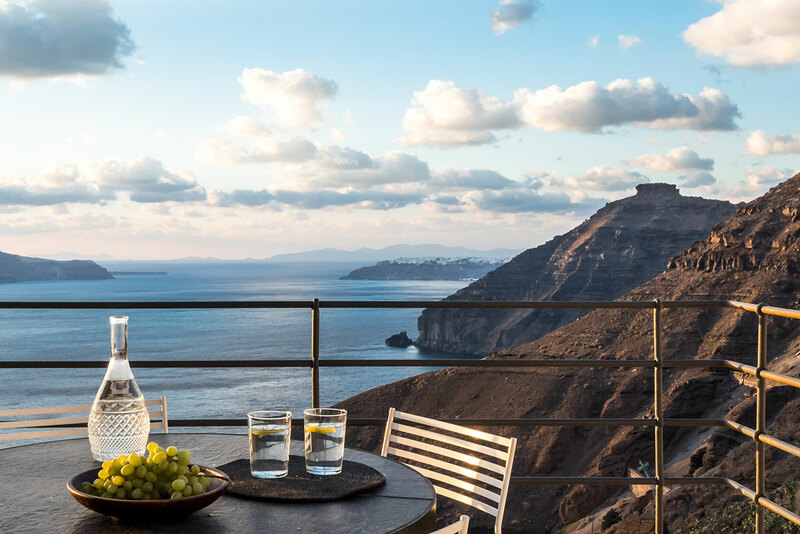 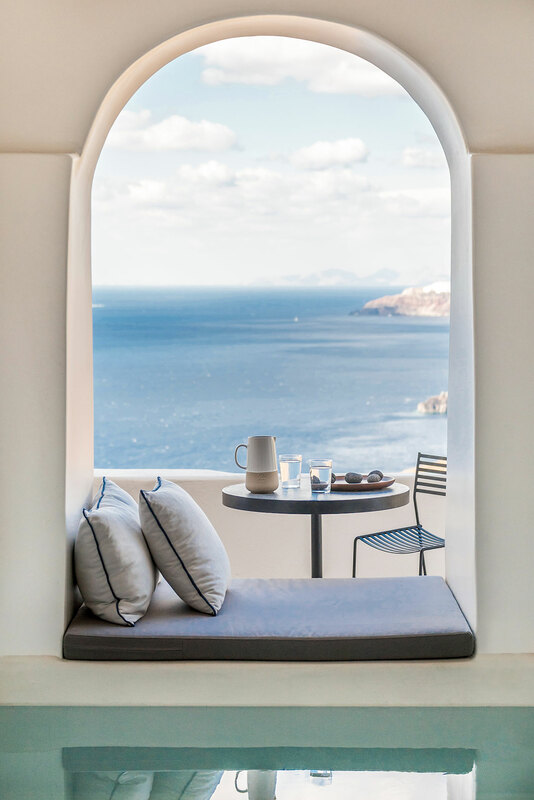 Poetically perched directly on the cusp of the island's volcanic Caldera, each of the thirteen suites welcomes guests with the awe-inspiring, magnificent views that the Cycladic location is best known for. 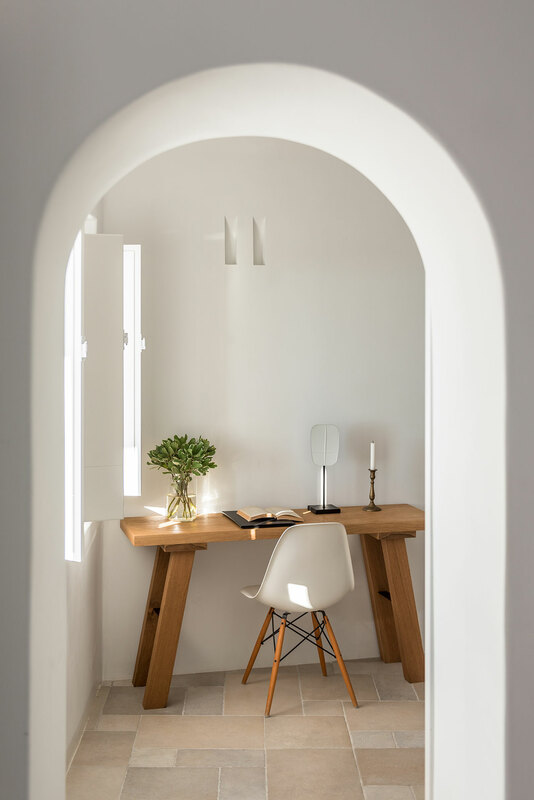 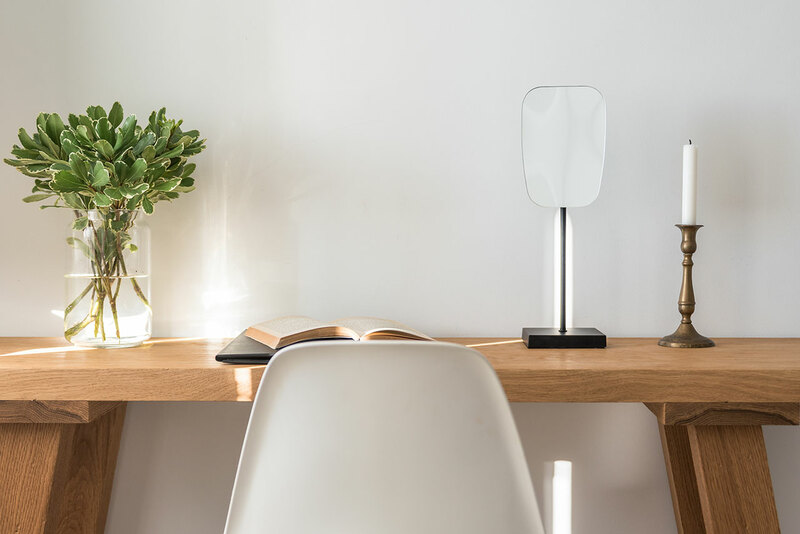 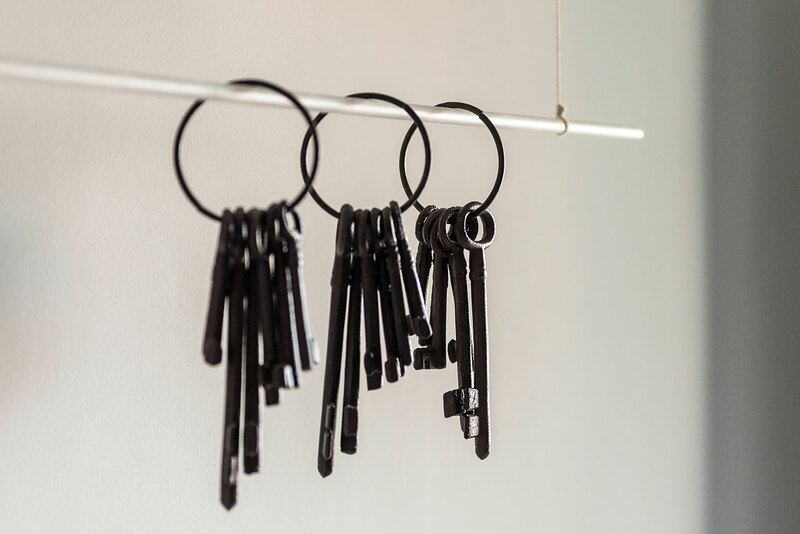 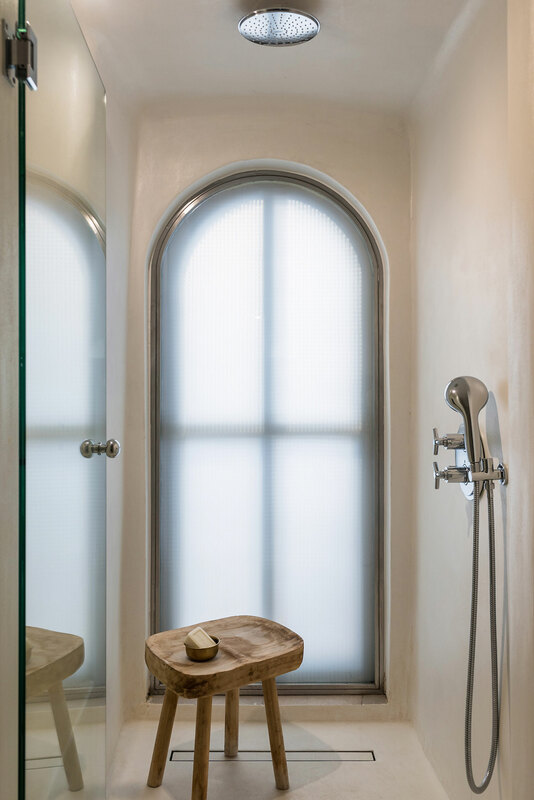 Interestingly, the original building that the hotel was founded upon once belonged to the neighborhood church of Saint John the Theologian and the designers used the churches' monastic, minimal solemnity as their design basis. 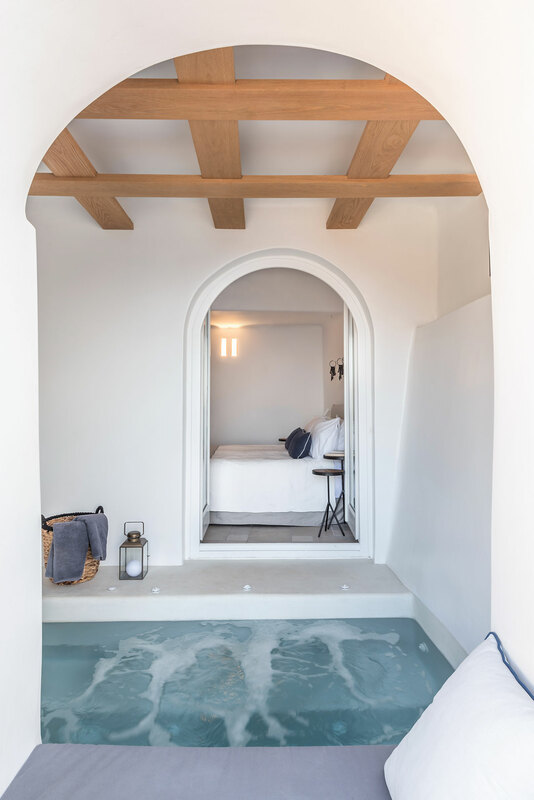 "Our goal was to harmoniously combine the simplicity of the space with the heaviness of the materials, such as the aged wood and metal," as Stamos Hondrodimos says. 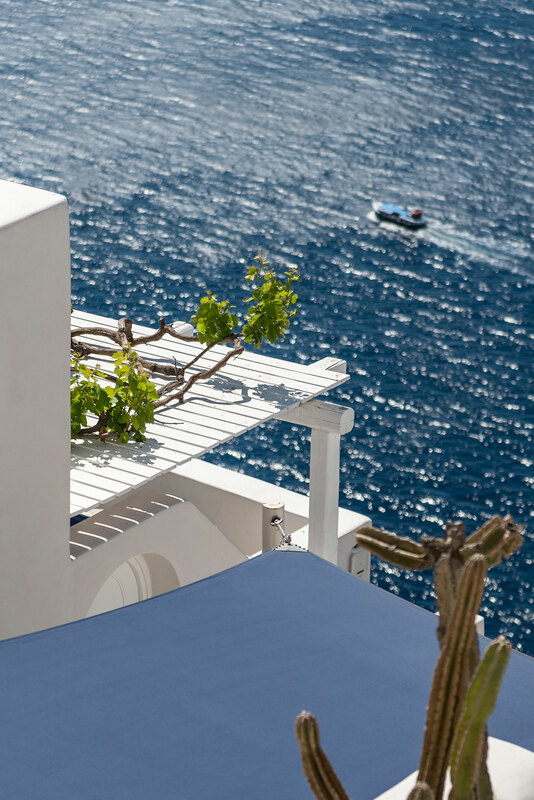 This means that the suites are an ode to the picture-perfect, Greek island ideal that people the world over crave. 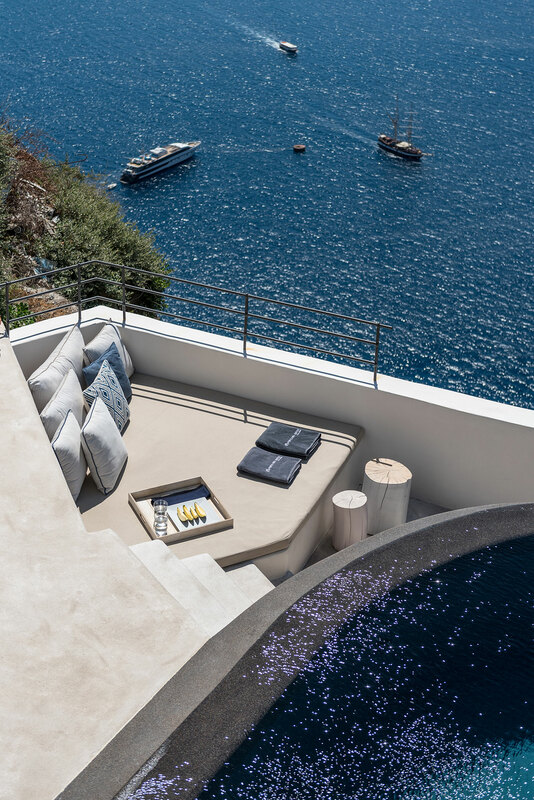 Think heavy stone, Byzantine-style flooring both inside the suites and outside on the private verandas; smooth, whitewashed walls that form elegant arches around doorways and windows; a black-bottomed, waterfall pool that seemingly spills out into the deep blue Aegean Sea; and a soothing, cooling color palette of shades of white highlighted by notes of gray, blue and black. 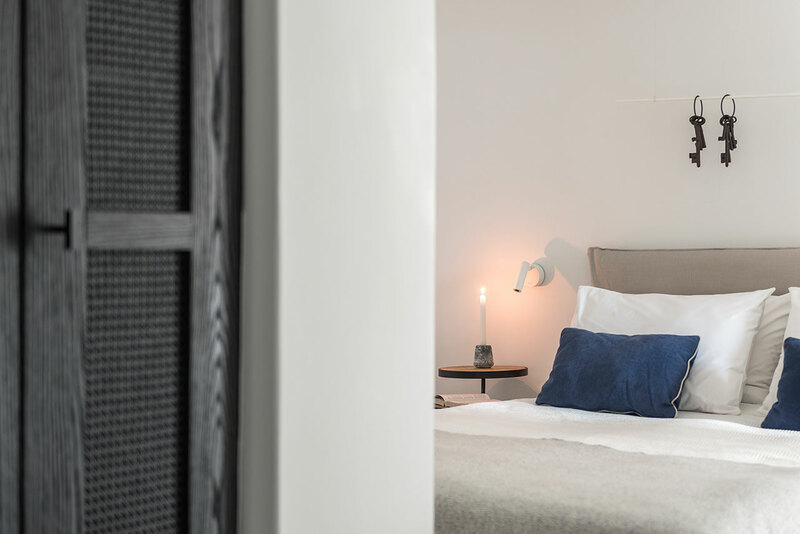 To these, the designers have added special, textural touches throughout, such as the various traditional textiles and monochromatic kilims that have been hung as "headboards" over the beds or made into pillows; the brass or stone candleholders, glowing in the bedrooms and bathrooms respectively; the custom-made furniture and lighting fixtures; and the intricately constructed cabinet and closet doors, which have been handcrafted out of Viennese wicker and sandblasted oak wood. 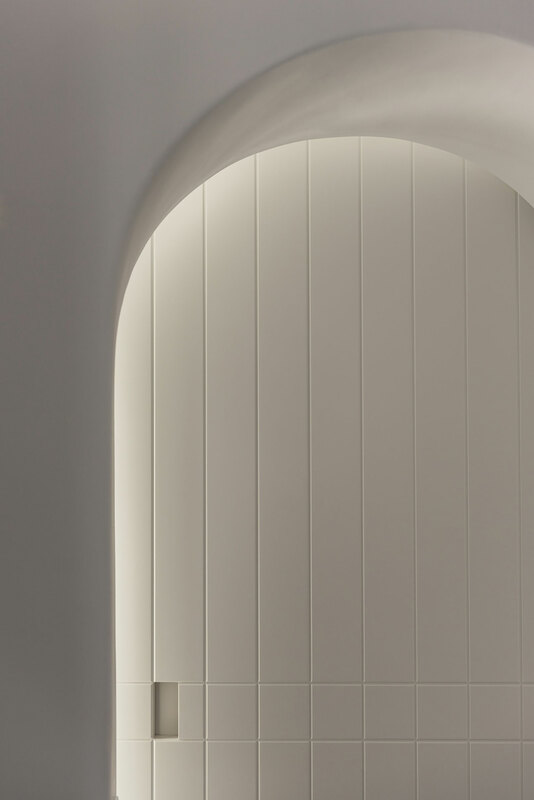 In keeping with the religious inspiration, the latter are also references the old doors found on the confessionals of the island's catholic monasteries.